TPO® has a wide selection of archwires to choose from to help you achieve your treatment goals. 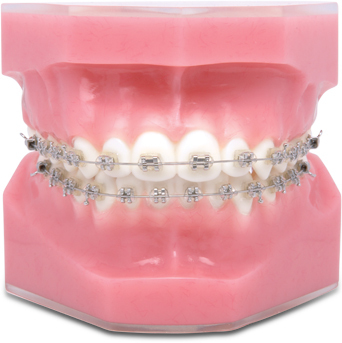 Aesthetic wire is perfect for use with ceramic brackets. These preformed archwires feature a very thin white-color coating applied to the labial surface only. Each wire remains uncoated where it comes into contact with the archwire slot so that it glides smoothly with no increase in friction. TiMolium titanium wire combines the flexibility, continuous force and springback of nickel titanium with the high stiffness and bendability of stainless steel wire. Consistently outperforms nickel titanium and beta titanium wire in breakage resistance, smoothness, polish and flexibility. Reflex nickel titanium wire combines superelasticity with high shape recovery to produce gentle, constant pressure for comfortable and efficient forces. Resists permanent distortion, allowing immediate engagement in severely malaligned anteriors without fracturing. Smoothly polished, friction-reducing finish allows brackets to slide easily. 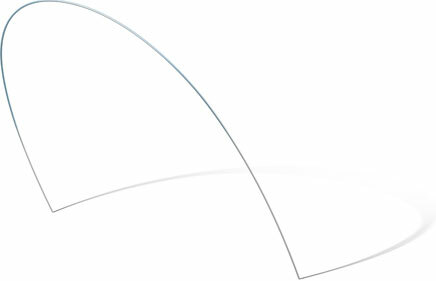 High tensile, high stiffness Bow-Flex stainless steel wire is specially suited for rapid bite opening, plus the unraveling and rotations of anterior teeth. Smooth surface reduces friction. TP Original Wire features extreme resiliency and hardness of the premier plus grade provide continuous, gentle forces without deformation or fracture when in use. Excellent for leveling in early stages of treatment and for overbite correction. The Shiny Bright chrome alloy wire is carefully drawn to exacting tolerances. Wires are heat-treated and stress-relieved to provide excellent spring properties without brittleness.